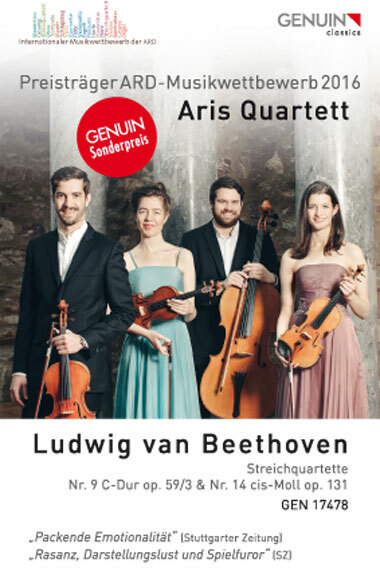 The Aris Quartett, one of the most exciting ensembles on the international scene, won several ARD awards in 2016. The second GENUIN CD confirms the amount of publicity the quartet has received. Two existential chamber music works can be found there, which in their unconditionality and unheard-of expressiveness demand everything from the listener. The Aris Quartett plays Shostakovich's famous 8th string quartet and Schubert's Death and the Maiden with an uncompromising style that pulls you out of your chair: spooky nocturnal pieces, deeply sad lamentation and a demonic dance macabre – world class! 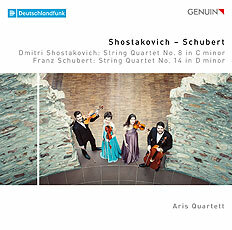 "Meaningful and truly exciting performances of two major quartets by the outstanding Aris Quartet."